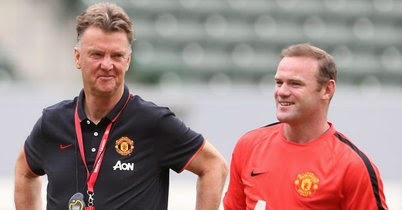 Football news: Rooney wants Man Utd captaincy post. Rooney wants Man Utd captaincy post. Wayne Rooney wants to be Manchester United captain. Man Utd attacking foward Wayne Rooney is hoping to be given the captaincy role on a more permanent basis. In a statement, he said:"Of course i would like the captaincy but its the manager's decision who he chooses. "I don't think he was ever going to just walk in and choose a player from the off.I am sure he will look at the players now and make his decision in a couple of weeks". The England international scored twice in the 7-0 demolition of LA Galaxy. Rooney might be a good person for the post, but other players that might compete with the attacking foward, for the captaincy post are Darren Fletcher and Robin Van Persie.